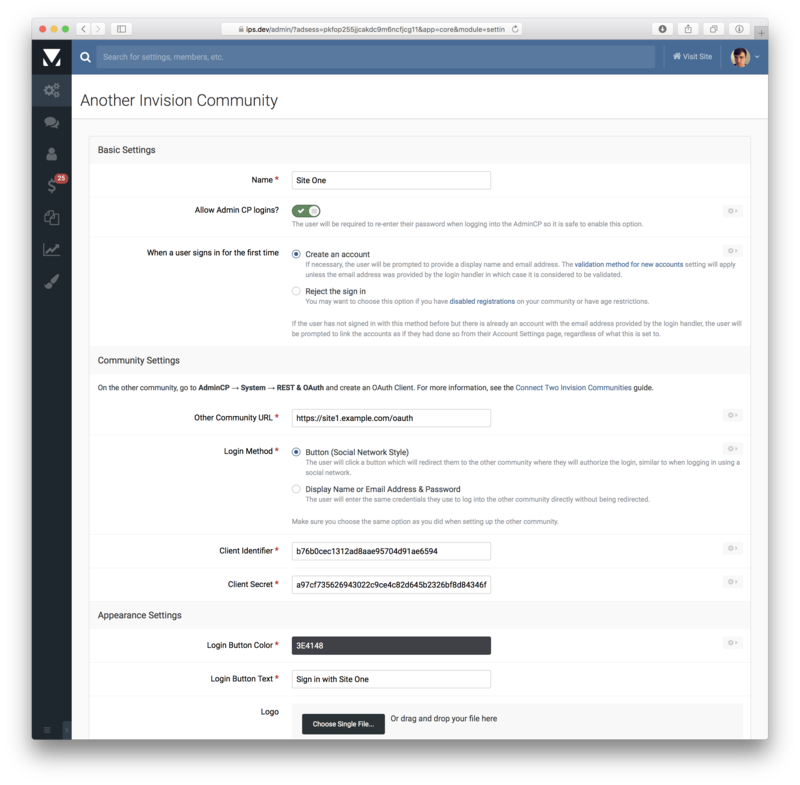 You can link two (or more) Invision Community installations together to allow users to sign into one community using their credentials from another. All communities that you want to link will need to be running Invision Community 4.3 or higher. You will need to decide which community is the "Server" (sometimes called the "master") which is the one whose credentials will be used for the login. All the other communities will be the "Clients" (sometimes called the "slaves"). On the community which will be the Server, go to AdminCP -> System -> REST & OAuth, and click the "Create New" button to create a new OAuth client. For the client type, choose "Another Invision Community". After saving this form, you will see a Client Identifier and Client Secret. 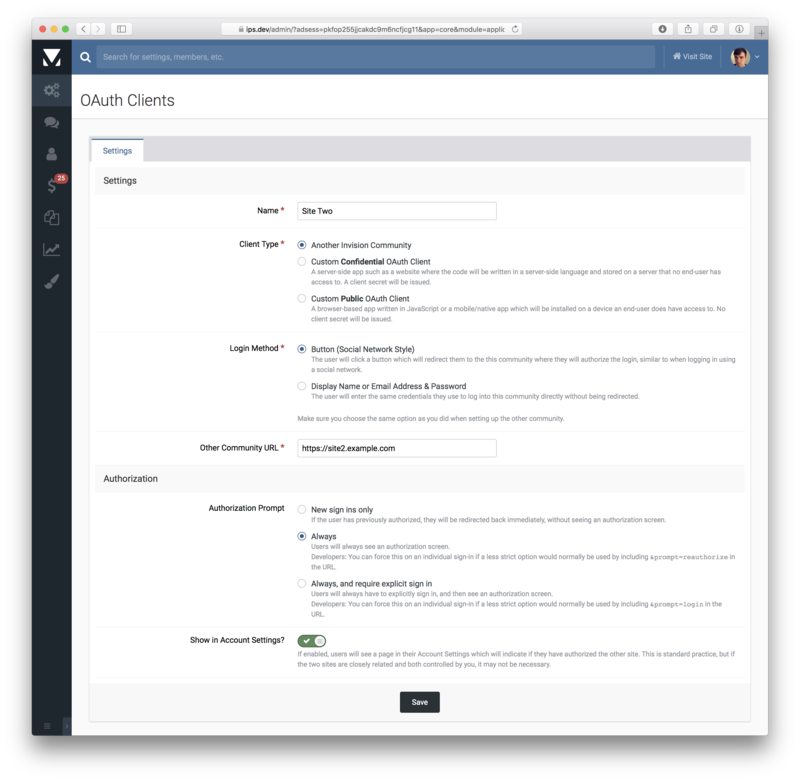 You will use these two values to fill out the form on the Client community. Now on the community which will be the Client(s) go to AdminCP -> System -> Login & Registration, click "Create New" and choose the "Another Invision Community". You will need the Client Identifier and Client Secret from Step One. Once you have saved this form, set up is complete and should be able to log in! If you are setting up more than two communities, run through this process for each of the Client communities.